Lactococcus garvieae is an unusual cause of infective endocarditis (IE). No current diagnostic and therapeutic guidelines are available to treat IE caused by these organisms. Based on a case report, we provide a review of the literature of IE caused by L. garvieae and highlight diagnostic and treatment challenges of these infections and implications for management. A 50-year-old Asian male with mitral prosthetic valve presented to the hospital with intracranial haemorrhage, which was successfully treated. Three weeks later, he complained of generalized malaise. Further work up revealed blood cultures positive for Gram-positive cocci identified as L. garvieae by MALDI-TOF. An echocardiogram confirmed the diagnosis of IE. Susceptibility testing showed resistance only to clindamycin. Vancomycin plus gentamicin were started as empirical therapy and, subsequently, the combination of ceftriaxone plus gentamicin was used after susceptibility studies were available. After two weeks of combination therapy, ceftriaxone was continued as monotherapy for six additional weeks with good outcome. Twenty-five cases of IE by Lactococcus garvieae have been reported in the literature. Compared to other Gram-positive cocci, L. garvieae affects more frequently patients with prosthetic valves. IE presents in a subacute manner and the case fatality rate can be as high as 16%, comparable to that of streptococcal IE (15.7%). Reliable methods for identification of L. garvieae include MALDI-TOF, 16S RNA PCR, API 32 strep kit and BD Automated Phoenix System. Recommended antimicrobials for L. garvieae IE are ampicillin, amoxicillin, ceftriaxone or vancomycin in monotherapy or in combination with gentamicin. Alexandre Malek and Alejandro De la Hoz contributed equally to this work. Lactococcus garvieae are Gram-positive cocci previously considered part of the genus Streptococcus. In 1985, these organisms were classified within the genus lactococci due to DNA-DNA hybridization studies and fatty acid profiles [1, 2, 3]. Currently, the genus Lactococcus contains 11 species . L. garvieae is associated with fish infections in warm water causing outbreaks of haemorrhagic sepsis in rainbow trout [2, 5]. These organisms have also been isolated from raw cow milk, goat cheese, fish, beef meat, poultry and pork meat . Human infections caused by L. garvieae have been reported in different countries and have been associated to ingestion of raw seafood. Indeed, a study by Wang et al. found that among four patients with invasive L. garvieae infection, three had ingested sea food contaminated by these organisms . Infective endocarditis (IE) is a known disease caused by L. garvieae, however, the true incidence of disease is difficult to assess since misidentification with other Gram-positive cocci like Enterococcus spp. and streptococci (employing different automatized diagnostic tools) has commonly been reported [8, 9]. Here, we report a case of L. garvieae IE and describe the risk factors associated with this disease, the diagnostic challenges to identify these organisms and therapeutic approaches used to treat these infections. We seek to provide clinicians with relevant and updated information on the diagnosis and management of IE caused by the genus L. garvieae. We searched MEDLINE, EMBASE and LILACS using the following MeSH, major and free terms: “endocarditis”, “endocarditis, bacterial”, “endocarditis, subacute bacterial”, “endocarditis bacteriana”, “endocarditis bacteriana subaguda” and “lactococo”, “lactococcus”, “lactococcus lactis”, “lactococcus garvieae”, “lactococcus garvieae endocarditis”. We selected all the articles in Spanish, English and French published before March 2018 that included case reports of endocarditis and Lactococcus in the titles. A 50-year-old Asian man with history of rheumatic heart disease (without hypertension) and mechanical prosthetic mitral valve replacement 5 years before admission, dyslipidaemia and reflux esophagitis presented to the emergency room with severe bilateral occipital headache. He was diagnosed with an intracranial haemorrhage confirmed by CT brain. At the time of admission, his INR was within therapeutic range (2.35). After initial work up, the patient was hospitalized for 10 days and discharged without any residual neurologic sequelae. Atorvastatin was prescribed. No fever or elevation of the C reactive protein (CRP) or erythrocyte sedimentation rate (ESR) were identified during the admission. He worked as an accountant and had been living in the US for the past 30 years with no recent travel outside the US. Three weeks later, he complained of flu-like symptoms and oseltamivir was prescribed. A week later, the patient returned to the hospital with epistaxis, haematuria, and malaise without fever. Physical examination was unremarkable with normal neurologic exam, except for a pansystolic heart murmur. Blood tests showed elevated white blood count (14.5 × 109/L) and serum creatinine of 1.54 mg/dl (Normal value: 0.8–1.2 mg/dl). CRP and ESR were also elevated (34.5 mg/dl and 75 mm/h, respectively). A Chest X ray was found without acute abnormalities and the urine analysis showed no abnormalities. Three days after admission, blood cultures were positive for Gram-positive cocci in chains in 4 out of 4 bottles. Transthoracic echocardiography was inconclusive, but a transoesophageal echocardiography (TEE) revealed a 0.8 cm vegetation on the ventricular side of the native aortic valve without valve dysfunction, confirming the diagnosis of IE. Empirical intravenous antibiotic therapy was started with vancomycin 30 mg/kg/day in divided doses and gentamicin 3 mg/kg/day. The organism was recovered on blood agar and was identified by MALDI-TOF as Lactococcus garvieae. Susceptibility testing showed resistance to clindamycin, whereas it was susceptible to penicillin (MIC 0.25 μg/ml), ceftriaxone (MIC 0.25 μg/ml), vancomycin (MIC 1.5 μg/ml) and levofloxacin (MIC 2 μg/ml). With these results, vancomycin was switched to ceftriaxone 2 g IV twice daily plus gentamicin as combination therapy for the first 2 weeks. This regimen was chosen based on previous cases since no specific guidelines exist on how to treat these organisms. Gentamicin was stopped after two weeks and ceftriaxone was continued for 4 additional weeks pending a surgical decision. In the setting of intracranial bleed and IE, rupture of a mycotic aneurysm was highly suspected and the patient was considered a possible surgical candidate for aortic valve replacement. CT angiography of the brain (5 weeks after the initial episode of intracranial bleed) showed encephalomalacia in the left parietal and occipital lobes with subacute to chronic haemorrhage, with no mycotic aneurysms. After several discussions, the stroke team agreed on resuming anticoagulation with heparin IV drip (considering that the patient had a “chronic” bleed without active haemorrhage and that the risk of embolism was high due to the presence of a mechanical heart valve and IE). It was also suggested postponing aortic valve replacement for at least 4 weeks after effective antimicrobial therapy. After 4 weeks of therapy, decrease of inflammatory markers (CRP to 8.5 mg/dl and ESR to 40 mm/h) was observed and repeat blood cultures were negative. Upon further questioning, the patient admitted that his diet was rich in grilled fish. Additionally, he reported a long history of chronic epigastric pain for 5 years, for which he had been taking over the counter medicines. An esophagogastroduodenoscopy showed severe gastritis and reflux esophagitis. After 6 weeks of treatment for IE, the patient had clinical improvement with no recurrence of infection but repeat TEE revealed severe aortic valve insufficiency. He underwent mechanical aortic valve replacement without complications and cultures from the excised valve were sterile. Different clinical presentations of subacute IE make it challenging to make an early diagnosis of infection and can cause delays in appropriate treatment. In our case, treatment of IE was delayed due to low suspicion of the disease at presentation and the occurrence of the intracranial haemorrhage. 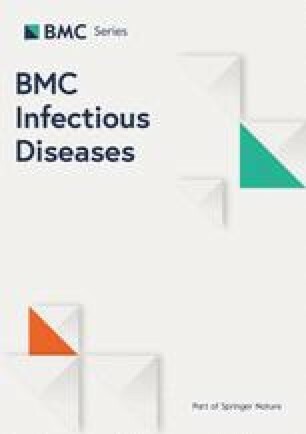 Importantly, collection of blood cultures as soon as infection was suspected, led to isolation of L. garvieae and identification using MALDI-TOF. A total of 25 cases of IE caused by L. garvieae were identified in the literature review [8, 9, 10, 11, 12, 13, 14, 15, 16, 17, 18, 19, 20, 21, 22, 23, 24, 25, 26, 27, 28, 29, 30]. Among the 25 cases of IE caused by L. garvieae (Table 1), 58% were reported in men and the median age of presentation was 68 years. Median duration of symptoms before consulting was 14 days (IQR = 6.2–21). The most common reported symptoms were fever (68%) and chills (28%). Presence of heart murmurs was the most common finding in the physical examination (72%). Laboratory tests usually showed leucocytosis, elevated CRP and ESR. Echocardiogram was reported in 24 out of 25 cases and vegetations were identified in 83.3%. The mitral valve was the most frequently involved valve. Colonoscopy was performed in 5 cases, all of which reported colonic polyps. The median duration of antimicrobial therapy was 42 days (IQR 41–45.5). LG: Vitek 2¥, MS and 16S rRNA PCR. Etest BioMérieux, S: GEN 200 µg Oxoid by diffusion disc testing. Prosthetic mitral valve, previous endocarditis, Cooked fish, colonic polyps, FA, HTN, Osteoporosis. TEE: mitral vegetation (10x5mm) Labs: Elevated CRP no leucocytosis. Colonoscopy: Colonic polyps. LG: MS, 16S rRNA PCR. Leucocytosis, Elevated CRP and ESR. Mitral valve prosthesis, eats sea fresh food. LG: Vitek 2¥, 16S rRNA PCR. TEC 0.125 mg/L. Susceptibility CLSI for viridans streptococci. Prosthetic aortic valve, HTN, dyslipidaemia, Hodgkin lymphoma in remission, AV block. S: CTX: 0.38 µg/ml, ERY: 0.25 mg/dl, VAN 1 µg/ml, LVX 1.5 µg/ml, VAN, AMP, CTX, OXA. S: CTX, CIP, ERY, DAP, VAN. S: PEN, AMC, CIP, VAN. Raw fish, Prosthetic aortic valve, CHF, AF, DM 2, HTN, Oesophageal carcinoma. PEN: 0.5 mg/L, TOB: 2 mg/L. Ascending aorta and aortic valve replacement, previous endocarditis, HTN. Systolic murmur, painful black induration in finger. Fever, Osler nodes on left hand and legs. TEE: No vegetations Labs: Elevated CRP and ESR no leucocytosis. LG: Not specified biochemical tests. PCR. S: PEN, CIP, OFX, LVX, TET, VAN. TEE: Aortic vegetation (10 mm) Labs: Leucocytosis and elevated CRP. With streptococci reference laboratory (Respiratory and systemic reference laboratory London UK). Pacemaker for heart block, Aortic valve prosthesis, omeprazole, hypertrophic cardiomyopathy, ITP, hypothyroidism. TEE: Ruptured chordae tendineae. Labs: Leucocytosis. Negative colonoscopy. When compared to other Gram-positive microorganisms, L. garvieae seems to affect more frequently patients with prosthetic valves. In our review, 52% (n = 13) patients with L garvieae IE had prosthetic valves, while large cohorts of endocarditis caused by Enterococcus spp., Streptococcus spp., Coagulase negative Staphylococci (CoNS) and S. aureus, report prosthetic valve involvement in 15.3–35%, 16.3–17.2%, 28–32.2% and 15.3–16% of cases, respectively [31, 32, 33]. Complications of IE such as valve dehiscence or rupture, septic emboli, renal failure, shock, stroke and heart failure were reported in 50% (n = 12) of cases. Surgery for valve repair or replacement was performed in 48% of cases. The case fatality rate of L. garvieae IE was 16% (n: 4), which is low compared to that of other GPC such as S. aureus (44.4%), Enterococcus spp. (23%) and CoNS (33.4%), but comparable to that of streptococci IE (15.7%) . The ingestion of raw sea food or exposure to fish, the presence of colonic polyps and the repeated exposure to dairy products have been postulated to be risk factors for infection by L. garvieae . Less than half of patients with IE caused by L. garvieae reported ingestion of fish (including raw or cooked) [7, 15, 19, 23, 24, 26, 27, 28, 30] or were diagnosed with a concomitant GI disorder [10, 13, 19, 20, 21, 24, 28, 29, 30]. Our patient reported both conditions. The most important predisposing factor in these patients appears to be the presence of previous valvular disease. Of note, colonoscopy may be considered in patients with L. garvieae IE to rule out colonic polyps. For species identification, MALDI-TOF, 16S RNA PCR, API 32 strep kit (BioMérieux, Marcy l’Etoile, France), Vitek 2 kit with GP identification card (BioMérieux) and BD Automated Phoenix System seem to be reliable techniques for the identification of L. garvieae in our series. However, the Vitek 2 reported misidentification of Enterococcus spp. as L. garvieae in one case . In contrast, the API 20 Strep (BioMérieux, Marcy-l’Etoile, France) and Microscan walk away system (Dade Behring, inc., Sacramento, CA) often misidentified the genus L. garvieae [8, 9]. Since the therapeutic approach for enterococci may be different to that used for Lactococcus, confirmation of identification should be performed with a reliable method. As no breakpoints for antibiotic susceptibility have been determined for Lactococcus spp. by the CLSI or EUCAST, most authors used those for viridans-group streptococci (VGS), group B streptococci, Enterococcus spp. or Staphylococcus spp. With these breakpoints, most L. garvieae isolates show intermediate resistance to penicillin and resistance to clindamycin [8, 9, 13, 22]. In summary, IE caused by L. garvieae may be a life-threatening infection. The most important predisposing factor is previous valvular disease. An association with gastrointestinal disease and consumption of fish has been established. Reliable methods for identification of L. garvieae include MALDI-TOF, 16S RNA PCR, API 32 strep kit (BioMérieux, Marcy l’Etoile, France) and BD Automated Phoenix System. Based on prior case reports and our own patient case, the recommended antimicrobials for L. garvieae are ampicillin (2 g every 4 h), amoxicillin (200 mg/kg/day divided in 4–6 doses), ceftriaxone (2 g every 12–24 h) or vancomycin (30 mg/kg/day divided in 2–3 doses) as monotherapy or in combination with gentamicin (3 mg/kg/day). Doses were defined using the recommendations for the treatment of VGS and enterococcal IE published by the American Heart Association/Infectious Diseases Society of America (AHA-IDSA) and European Society of Cardiology guidelines [34, 35]. It is unclear if combination therapy is needed (in cases where aminoglycoside toxicity is an issue), given that 5 out of 25 patients with L. garvieae IE were treated with vancomycin [9, 15, 17], teicoplanin  or ampicillin  monotherapy with good outcomes. Further, the majority of patients in the L. garvieae group who died were treated at some point with monotherapy and combination therapy. This work supported by NIH-National Institute of Allergy and Infectious Diseases grant number K24-AI114818 to CAA. This grant serves for undertaking research performed in CAA lab and for publication. The funders of the study had no role in the study design, data collection, data analysis, data interpretation, or writing of the manuscript. No data or materials are available. AM, AD and CAA wrote the manuscript and structured the literature review. CAA, AM, SG and CN took care of the patient and collected clinical data. All authors reviewed and approved the final version of the manuscript. Written informed consent was given by the patient to publish the information in this case report. CAA has received grant support from Merck, Entasis and MeMed diagnostics. The other authors have no competing interests to declare.